Be it in sky scraping tower, surrounded by the latest technology or in a wretched swamp, Yoda will train you and you will be a better person because of it. Not because the INFJ forced you to so much as it is they made you want to learn. Many of the best speakers and leaders in the world and throughout history are typed as INFJ, including the the son of God Himself. If you’ve ever known anyone to really be this type (If everyone who scored INFJ actually were, their population would go from 1% to 15%. People just can’t take this freaking thing properly. ), you’ll know them to be highly reserved, quiet, thoughtful, and almost above all else, introspective. And if this doesn’t describe Yoda, I don’t know what does. Aside from old and green, of course. Yoda’s preference for Introverted Intuition first should be clear to anyone vaguely familiar with the function. While Ne is known more for how broad it’s spectrum reaches, Ni is known for how deep it goes. Ni deals with seeing the multiple meanings in a single thing (Ne is more focused on getting a meaning out of multiple things), it’s easy to see how Yoda could teach generations of Jedi based on his view of the galaxy and his way of seeing things almost as though it were a living thing itself that he could talk to, and learn from. And in a sense, it is; but who listens? The INFJ. Nike may have taken a lesson from Yoda, come to think of it. 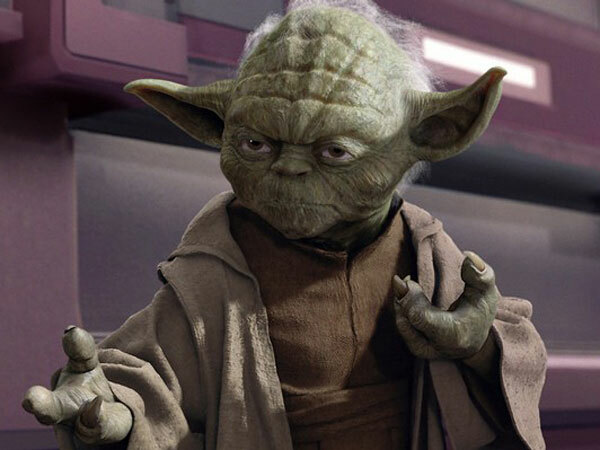 Yoda’s Auxiliary function is Extraverted Feeling, which doesn’t come across as clear as their first for the obvious reason of it’s placing, but also because Yoda comes off as a bit coarse in much of his teaching. His unwillingness to train Anakin in the mediocre prequels, as well as his initial refusal to take Luke as his pupil simply for being too old. What else was he doing in Dagobah anyway? Fishing? Yet he was still reluctant. Because while ENFJs and ESFJs lead with Fe, INFJs and their cousin, ISFJs only seem to follow through with their decision to care about others if the subject makes it past their “mental obstacle course” set up for people in the outer circle. For ISFJs, it’s whether or not the person’s values align with them in any way, shape or form. If they do not, the ISFJs senses danger and shuts out the person of interest. INFJs on the other hand, get a bit more technical. To get an INFJ to open up, you must have some degree of depth about you and show that your view of things is not that dissimilar from their own. It’s not that you have to believe the same things, but if you want to catch their interest, your ideas must be exactly that- ideas. Not just small talk or a discussion about the latest Michael Bay film (I’m a fan though still. Don’t hate). Sure, they’ll do this if the situation calls for it, but what they’re looking for is for someone to relate to and to pass their values on, even if it’s just for a conversation. 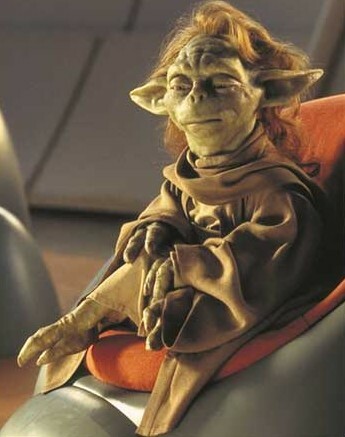 But don’t EVER bring up Yaddle. EVER. So we have Yoda. Anakin was too old, too angry, too much of a risk. Luke was a spoiled brat hotshot that didn’t think he need to take the small steps in order to make the leap and get the reward. So Yoda, in his 900 years of erudition and infinite wisdom (a key word in speaking of INFJs) decided not to train them. Why educate someone that thinks they have nothing to learn from you? Of course Yoda does give in though, at one point or another. Not because he’s weak minded or anything, definitely not. But because a major strength of the INFJ is to see the possibilities of educating someone they can see much potential in, and that’s especially difficult when seeing the potential at all is a task of it’s own. Counselor is definitely an appropriate title. This entry was posted on 07/23/2013 at 4:05 am and is filed under MBTI Idealists, MBTI Stuff with tags infj, mbti in fiction, star wars, yoda. You can follow any responses to this entry through the RSS 2.0 feed. You can leave a response, or trackback from your own site. The phrase “Do or do not, there is no try” could come from inferior Se. INxJs are known to have either extreme or very little willpower when trying to accomplish something. I can personally attest to that with a couple friends. They’re ‘all or nothing’ it seems. Yet almost every site on the net thinks he is an INTP. But this fits much more better. Mudibarát touched on this, and I’m curious. What do you make of the notion that Yoda is an INTP, that a lot of people seem to have? I suppose this entire post/article(?) could be seen as enough explanation (especially the Ni vs Ne point), but I was just wondering if you had any further thoughts on the subject. 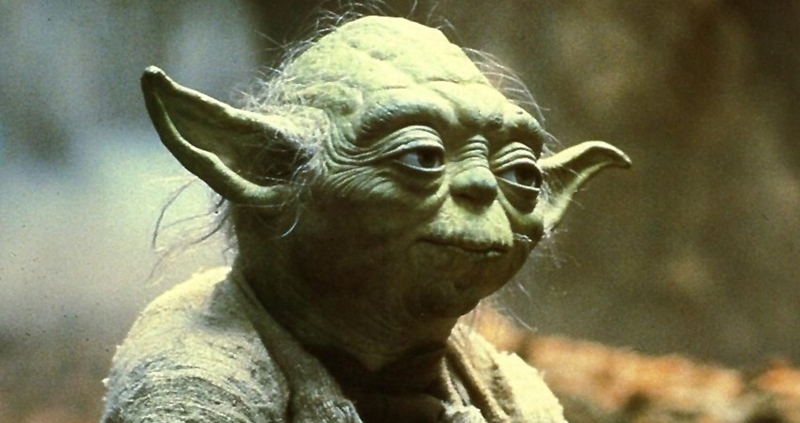 Would Yoda be considerably different as an INTP, do you think?